Three revolutionary products launched at Draper’s Engineering Possibilities 2018 in Cambridge, MA: all-in-one immunotherapy bioprocessing device, autonomous microplastics-sensing underwater drone, and low-cost, low-energy, mobile refrigerator for developing countries. Designed by Draper and Sprout, the immunotherapy bioprocessing device cuts the cost of the process by 1/5. Sprout Studios, a Boston-based multidisciplinary design company, teamed up with Draper, the not-for-profit R&D engineering firm in Cambridge, to provide solutions for global challenges from harmful microplastics in the ocean to cell-based cancer immunotherapy. The collaboration yielded three problem-solving products: an autonomous microplastics-sensing underwater drone, a low cost, low energy, mobile refrigerator, and an all-in-one, immunotherapy, bioprocessing device. The three products will be unveiled at Draper’s annual four-day Engineering Possibilities event: EP18. Especially relevant because of the recent Nobel Prize for Medicine being awarded to two immunology specialist, Sprout and Draper designed an end-to-end closed, system that reprograms a patient’s CAR-T cells to kill cancer and other mutated cell diseases. To make cell-based immunotherapy broadly available to patients, bioprocessing must produce high-quality therapy quickly and affordably, so the device combines three bioprocesses in one, takes one-tenth the time and is predicted to cost one-fifth of the price of similar treatments. 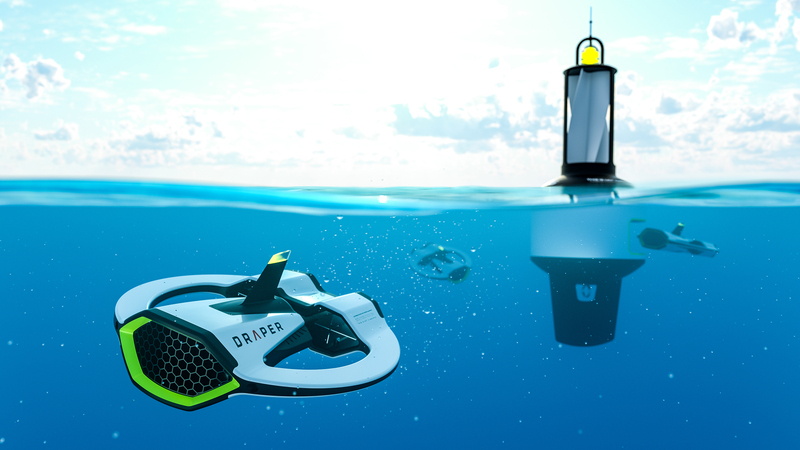 Sprout collaborated with Draper to develop the world’s first real-time microplastic-sensing system in the form of an autonomous underwater drone that will search, find, and analyze the invisible threat in the world’s oceans, coastal regions, and rivers. This will enable scientist and the EPA to understand where microplastics come from and how to prevent it from getting into our water. The drone is battery-powered and self-sustaining when paired with its wind-powered charging buoy. When the drone is deployed, it skims the top nine meters of the water scanning for microplastics, testing for specific types, and relaying GPS coordinates into a heat map, similar to a storm-tracking prediction in a weather forecast. Draper also hopes to launch a Plastic Particle Pollution Index (pppindex.info, akin to the World Air Quality Index waqi.info) posting measurements and trend predictions of microplastic particle concentrations in the world’s oceans, coastal regions, and rivers. The duo additionally designed and engineered a low-cost, low-energy mobile refrigerator to combat global refrigeration challenges for the Gates Foundation. The refrigerator keeps milk from getting airborne diseases such as wisteria in developing countries, where lack of access to a power can prevent people from keeping their perishables cold. Using thermoelectric technology, the cooling system allows villages to store their milk overnight and transport it to 15 miles to pasteurization facilities using regenerative power from its own wheels. EP18 is open to the public Oct. 3–6, from 10 a.m. to 4 p.m. at 555 Technology Square in Cambridge. Visitors to EP18 will be offered a behind the scenes look at the bold solutions Draper’s engineers and scientists have developed and be invited to immerse themselves in interactive demonstrations and meet the experts at the vanguard of technology. Draper is a not-for-profit R&D organization made of over 1,000 engineers that develop the latest technology to solve complex world problems. They work in areas ranging from biomedical and social causes to defense and space. Sprout Studios is an award-winning multidisciplinary concept-to-launch design and development studio deeply rooted in today’s pop culture and technology. Our multidisciplinary team fuses innovation, creativity, and instinct to design authentic lifestyle-driven products, brands, and experiences that grow businesses. Sprout teamed up with Draper and the EPA to combat one of the biggest problems in the world; microplastic contamination. They did this by creating the world’s first real-time microplastic-sensing systWorld's first real-time microplastic sensing system. Sprout and Draper collaborated to design and engineer a low-cost, low-energy mobile refrigerator, to combat global refrigeration challenges, sponsored by the Gates Foundation. 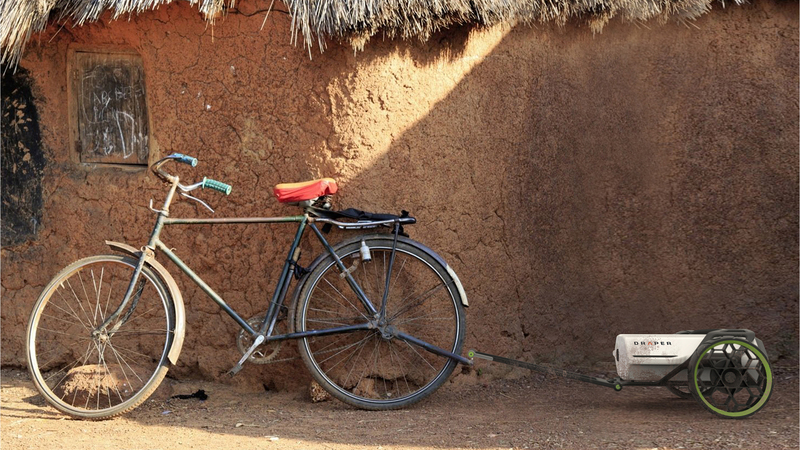 The refrigerator keeps mLow-cost, low-energy mobile refrigerator for developing countries.